The RIGHT Gun for the Job! 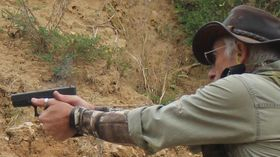 Read Kelly's popular article dispelling the common myth that simply having a gun is the crux of personal defense. In this article we explore the importance of recognizing our need to train for defense and to study appropriate tactics for various situations. 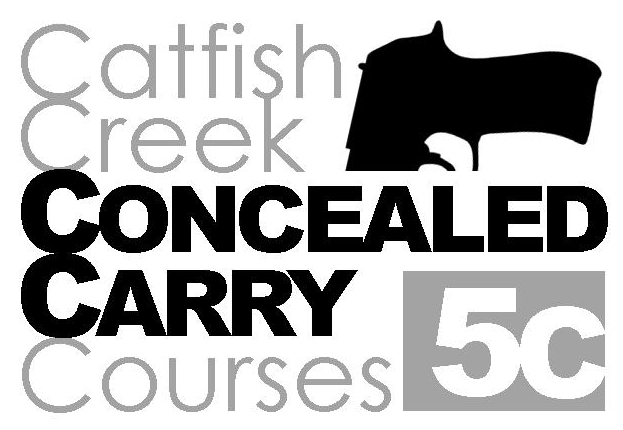 We will further explore how to choose the right gun for concealed carry. If you've been in a FiveC course then you know we hammer PRACTICE! No one can have too much of it, but standing at a range shooting bullseyes is not enough to keep you alive if you need to draw that gun... 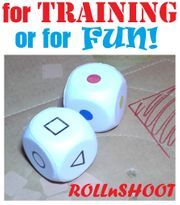 HERE are some SIMPLE and INEXPENSIVE opportunities for LOCAL practice that is PRACTICAL and FUN! The CALIBER DEBATE is over! For Pete's sake, you NEED to CHAMBER A ROUND!! Watch this video to see WHY it is important to keep a round CHAMBERED in your carry gun. This father had "the rest of his life" to chamber a round, but couldn't do it fast enough. He AND his son died. it's not easy to truly FOCUS on that front sight bobbing around at the business end of your handgun, but the Navy Seal in this video has some awesome tips, watch it! "A NATION OF COWARDS" is the definitive text for folks who need to appreciate the importance of our right to self-defense, understanding that it is NOT 'given' to us by government, but is basic to the nature of our being. EVERY jury should read this before they judge a self-defense case. "BULLET-PROOFING THE MIND" Excerpts from an interview with Lt. Col. Dave Grossman, detailing the importance of training for the mental aspects of defending oneself in a deadly force encounter. we always talk about the 21 foot rule in class... WATCH this video demonstrating the reality of situation. DO NOT think that HAVING a gun MAKES you safe, the gun is just a tool, your ready MIND is what's needed, and PRACTICE. 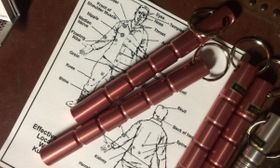 "key-chains" on our table... well, learn some basic KUBATON skills, download now! a Gun-Safety video for kids, from the NRA. Have you met the staff at FiveC yet? Iowa Code 724... (IA gun laws) a MUST read!! in .PDF format, you can save this to refer to anytime. You should print this & carefully review its details. You should read this carefully, and understand the meaning of such confusing ideas as weapons free zones, and be aware of the limits regarding Federal buildings and schools, etc. - $50.00 for the five (5) year permit. If you need a WI course please let us know when you initially set-up the course with us, since the class is a little different than the IA course, and the forms and corsework is also unique. You can print a foldable wallet card detailing the 34 states which recognize your permit when you travel. Remember, the rules will vary from state to state, so if you plan to travel with your gun (recommended!) then check the laws for those states you’ll be entering. 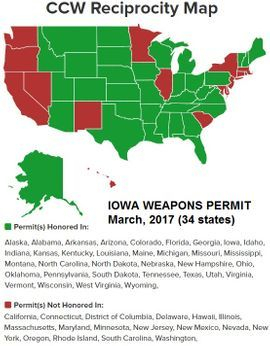 so what about that UTAH permit? Guns can serve as an important defense when 911 cannot bring help soon enough. But keeping firearms in the home must be a carefully considered decision, and preparing all members of the family for safe storage and use of firearms is crucial. In our classes we talk about the importance of knowing the law, and of being legally prepared in case you ever find yourself in court because of a defensive shooting. I have several of these custom holsters, as do my friends, we can attest Rick Luchtenburg does quality work! Contact him if you want something just for you!